Most people in the marketing, technology or social media worlds have seen the Marketing Technology Landscape graphic. This super-large graphic shows over 5000 players in the marketing tech landscape. Jeremy Epstein, former Sprinklr executive and current Never Stop Marketing president, has built a version of this graphic for the blockchain marketing world. 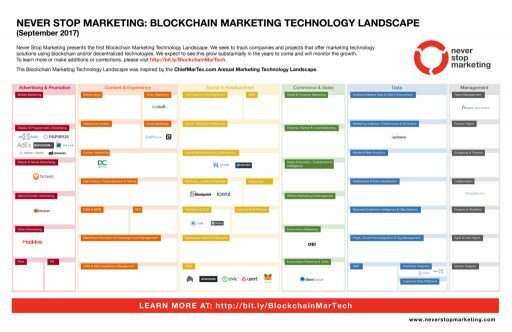 The BlockChain Marketing Landscape is an eye-opener, even with fewer than a hundred or so companies on it. It shows the initial, growing stages of a future marketplace, and the potential for a transformation in the way marketing technology works in the future. 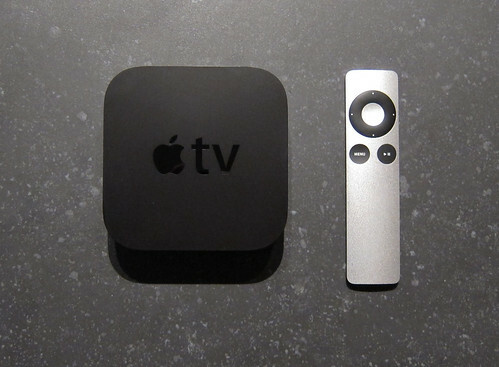 I believe Jeremy is onto an important trend here, and this Venture Beat piece seems to agree. I’ll be watching as this chart grows and looking for interesting companies who can help me and my efforts to communicate more effectively with supporters, advocates, and others in the nonprofit world. If you’re brand new to the concept of how blockchain can help marketers, Never Stop Marketing’s CMO Primer for the Age of Blockchains (which includes forewords by the CMOs of Nasdaq and Dun & Bradstreet) highlights how multiple functions of marketing including loyalty, customer experience, and brand may be impacted. You can also listen to this interview about PR and the Blockchain with Phil Gomes and Shel Holtz on For Immediate Release from 2015, and this more recent one from September, 2017 about marketing permanence. In 2006, I was running management programs at NYU’s School of Continuing and Professional Studies (now NYU SPS). A new program we were rolling out was “Emergency Management and Disaster Recovery.” I wanted to learn more on the subject, and was invited to FEMA’s Emergency Management Institute in Maryland for a conference of educators. I can’t say I remember everything about that conference, but one speaker stood out. I distinctly remember Ted Buffington’s talk about what happens to people in an emergency. Most people’s response during a crisis is to either Focus, Fold or Freeze™, according to Ted (who owns that trademark). The framework is simple. When something serious happens (fire, terror incident, someone is choking or has a heart attack) are you going to be the person that focuses on what to do and how to help? Will you panic and fall apart – fold? Or will you be a “deer in headlights” waiting for the inevitable? Emergency workers are trained to focus. You don’t want your police, firefighter or EMT unsure of what to do when disaster strikes. We trust these professionals to have great training, and we respect their ability to help us when we need it. I met lots of incredible people who had saved countless lives at the FEMA training conference. I don’t recall doing any special training with Ted, but that framework of the mind always stuck with me. What would I do in a crisis? Would I run or freeze? Or could I focus and figure out the situation, and do the right thing? Last month, I found out the answer. I became a “local town hero” by helping a man stuck on active train tracks out of his car. 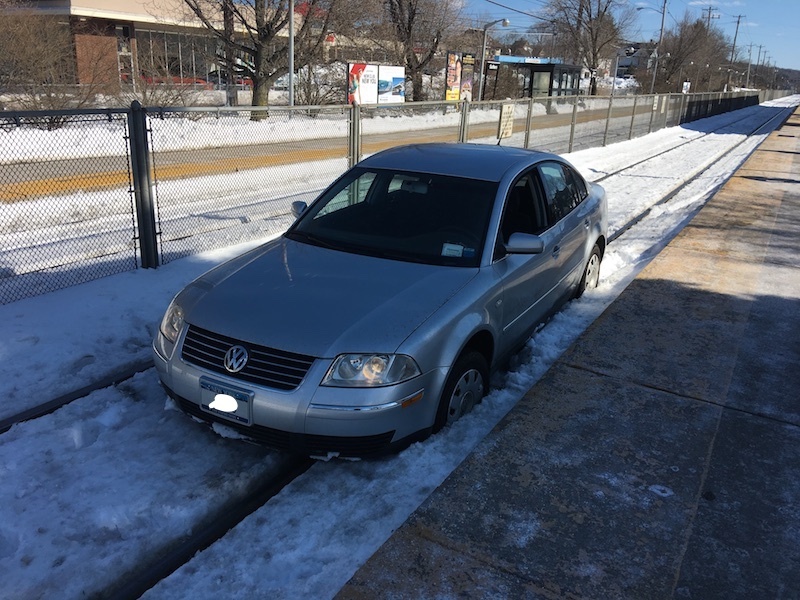 I witnessed a car swerving off the platform onto the ground-level train tracks at Suffern station on March 16th. This man should never have been driving on the platform but he was confused and went right past the ticket vending machines onto the tracks. I had no idea when the next train was coming. The person inside was unable to open the driver-side door since his car was too close to the concrete platform. While calling 911 and then NJ Transit, and asking people on the platform to watch out for me, I ran out onto the tracks and helped him out the passenger side. The whole time I was conscious of the possibility of a train coming. Got my pulse rate up for sure! Thankfully, the next scheduled train was 25 minutes later – but there was every possibility that equipment was being shifted or a freight would go by. 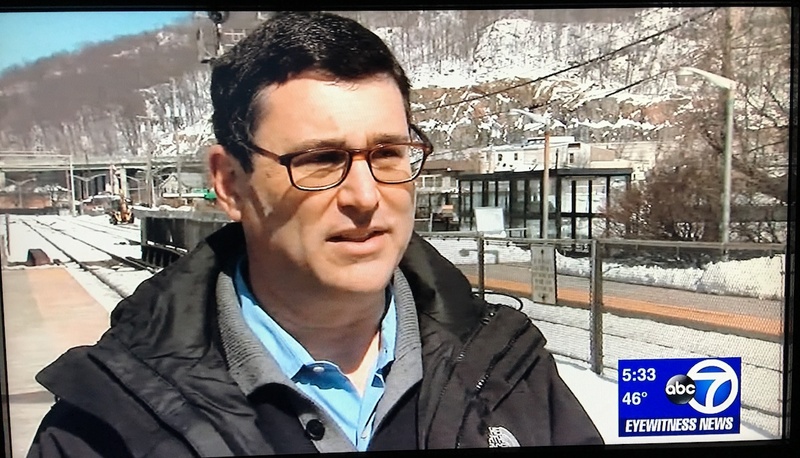 Kudos to Suffern Police for being there in about 30 seconds (no joke) and to NJ Transit (1-888-TIPS NJT – they say it on every train ride, I actually had to call it!) for stopping the trains. You can watch the TV coverage of this here via WABC 7 NYC. People keep coming up to me to ask about this. I can’t explain it other than to say, I was there, and I wasn’t going to watch something terrible happen to this old man. Sure, I called 911, and I had people looking out for me. But when it came down to it, I focused, made a plan and helped a person in danger. Now I know. The police, fire services, and EMTs are heroes who face danger constantly. I was glad I could pinch-hit till they arrived. When trouble happens, will you focus, or fold or freeze? Ted has some good, but older, resources on the To Achieve site. I wanted to report back on both my BikeMS ride and my fundraising efforts – and the report is an unqualified success.